It’s a world where we can track and find out where our friends are with the swipe of a finger. It’s where our phones intake every word we say as though they, too, possess the human ability to listen. It’s where information is thrown around and communication needs no face-to-face interaction. It’s the digital age. In the world we live in today, technology plays a prominent part in everything. Shopping is no exception. It’s not only easier to shop online, but it’s become more effective for brands to market online where most of their shoppers spend their time. With the emergence of Instagram and the high popularity of social media, brand marketing has never been so connected with the consumers it targets. And so, the brand ambassador was born. Brand ambassadors aid in the creation of a community around a brand. They market the brand and represent the lifestyle and look of it. These days, brand ambassadors act as an important tool in marketing because of the mutual benefit the relationship between them and the brand produces. Brand ambassadors gain exposure, often times commission from the customers they attract or some sort of compensation, and experience working with brands. Brands also gain exposure, increased sales (if social media marketing succeeds), and experience that’ll help them continue working with influencers. The interwoven work between brands, brand ambassadors, and customers has ultimately made the marketing realm more personal. Instead of marketers talking at customers, everyone is in the conversation together. 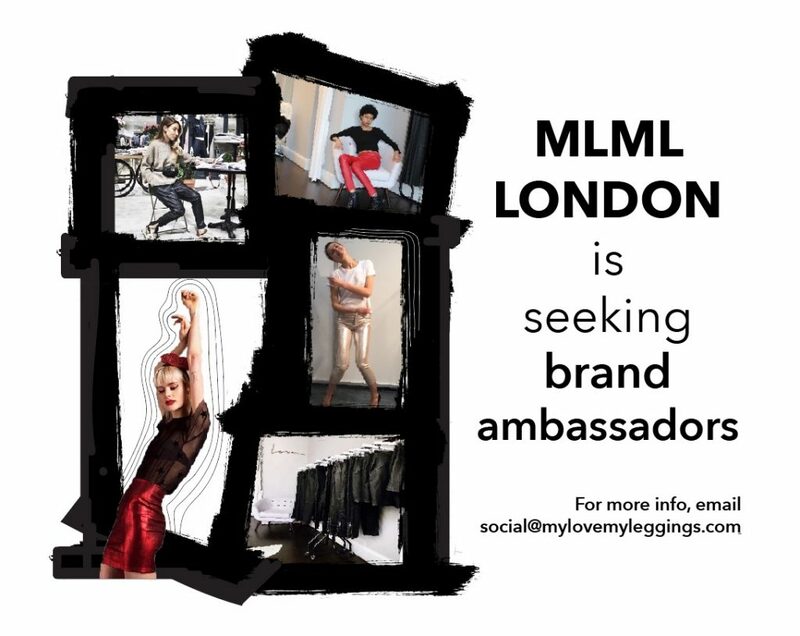 MLML London is ready to join that conversation and is currently seeking brand ambassadors. We want in on the action. We’re looking for creative, stylish and leather-lovin’ babes who are extremely passionate and embody our brand with ease. As a part of our team, we want powerful women who are not only enthusiastic about our products but also exemplify the personality and lifestyle of MLML London. If interested in exposure, commission from sales, and representing the MLML brand, email social@mylovemyleggings.com for more information!